What's the food story to us dining in Restoran Dragon Star? Meeting of relatives. In fact, really close blood ties from my other half-half's side. 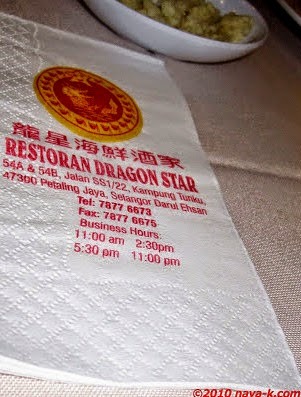 Why particular Restoran Dragon Star? 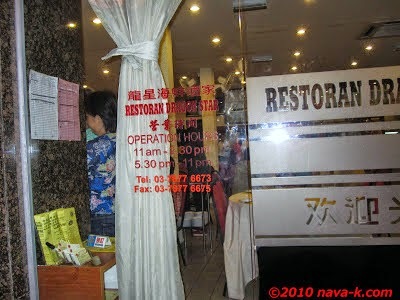 Due to nearby vicinity when dinner bell rang and also, Restoran Dragon Star been given high rating by relative. To the second floor of Restoran Dragon Star after quite a struggle in finding a parking spot. Maybe this parking matter was due to being a Sunday and trust me, not much of a choice anyway to parking in front. We took our seats amongst the groups of groups of Chinese who were already busy tucking into their meals and we, calling for Pork Ribs, Soy Sauce Steamed Cod Fish, Garlic Choy Sam/Leafy Veggie, Salted Egg Squid and Singapore Fried Mee Hoon. Dishes arrived almost simultaneously and we thereafter of course tucking in. Pork Ribs. Not the best. In fact, I have tasted better ones. Nevertheless, in all fairness, I must say not a letdown. 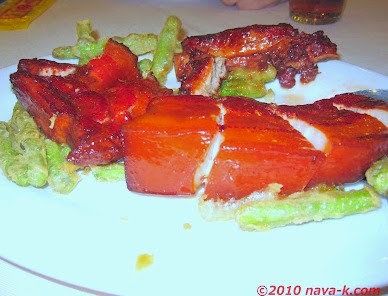 Crispy cracking on the outside and quite juicy tender meat inside Pork Ribs did please me. 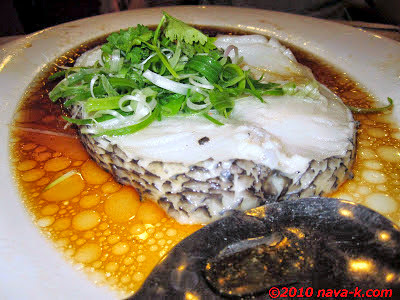 Soy Sauce Steamed Cod Fish. Not bad. Fresh cod in tadbit of soy sauce, wish there was more sauce and some spring onion and coriander leaves garnished. A clean, lean and uncomplicated dish. 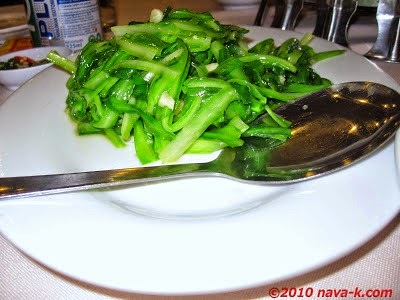 Garlic Choy Sam. Always like a simplicity veg dish in other Chinese restaurants too and always a pleasure. 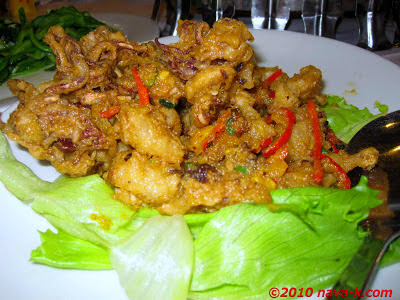 Salted Egg Squid. Utterly a disappointment. Seriously, something was not right. As if, all the cooked together ingredients couldn't be friends with each other. 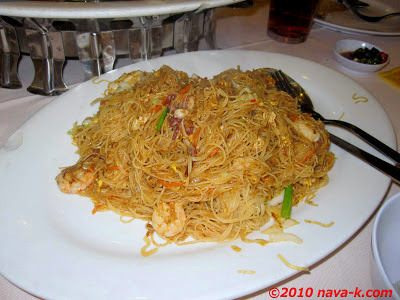 Singapore Fried Mee Hoon. Not a power packer, yet, we appreciated mee hoon fried alongside veggies and seafood. Overall? What should I say? Restoran Dragon Star is not the biggest shining star Chinese restaurant. Maybe, best will be for me to say as a decent meal and RM210.00 for 4 adults and one kid. Quite pricey right?